Welcome to the home of the most whimsical toy store and children’s birthday party venue in Australia! Since 1987 The Lost Forest toy shops have delighted young and old across the globe with our enchanting range of lovable puggles, soft toys and in-store experiences. Whether you’re exploring The Lost Forests for the first time … or the first time in a long time … we hope you find what you’re looking for. The Lost Forests at The District, Docklands. Adopt a Puggle and see it come down the Puggle slide. Hailing from the secret other world that can only be accessed through the trap door of The Lost Forests, comes the Puggle. The Puggle is a unique, furry, loveable creature. Standing for Peace, Understanding, Gentleness, Generosity, Love and Energy, Puggles bring these qualities to the homes of the families that adopt them. A Puggle is not like any other creature you may have so far come across. They come out of their holes in the dark of night to feed on their most beloved tucker… split peas! And when they are not busily stuffing their bellies with split peas, they’ll be hastily crawling into the safety of their bags where they can cozily slumber and stay well out of trouble… and from being turned into Puggle Pie! Puggles are born live, rather than hatching from eggs and come in a range of colours – red, green, pink and blue. They are mostly birthed in an enchanting town called Puggletown, which is right in the centre of Our Other World, and just below Puggle Mountain. Their relatives include the Polar Puggle, the Uggle and the edamame-bean-loving Gruggle. If you want to bring a Puggle into your family’s home today and with it bring Peace, Understanding, Gentleness, Generosity, Love and Energy, then adopt one here now. But do just be aware that with every Puggle, there will be plenty of huggles! 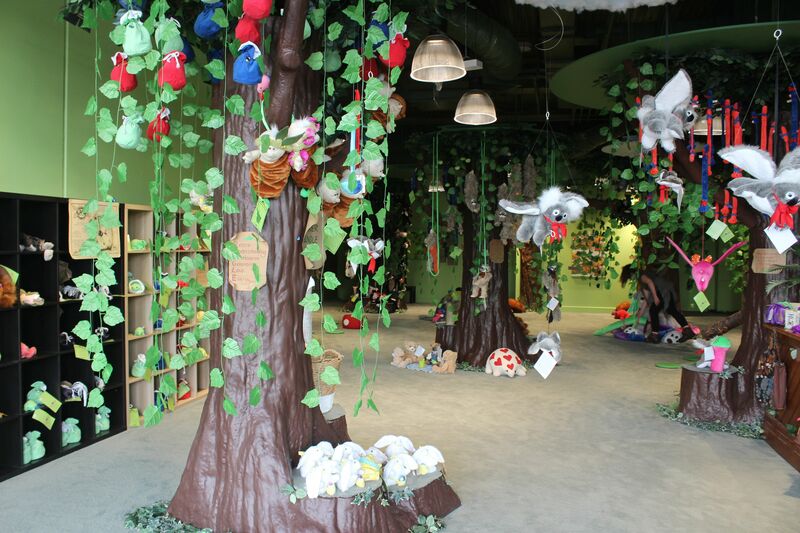 Filled with talking trees, captivating sounds and smells, and adoptable toy versions of the curious and incredibly cute puggles and creatures of the Otherworlds, our flagship Lost Forests store in Melbourne’s District Docklands mall is the perfect place to delight in the magic of childhood.